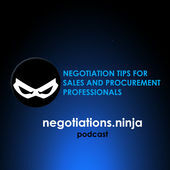 In this episode, Beth Fisher-Yoshida and Todd Wiesel talk on the role of women in negotiation. We dive into topics like implicit bias and the systemic issues that women face in the workforce. Beth is a certified clinical sociologist, facilitator, educator, mediator and executive coach. Todd is the managing director at The Negotiation Institute (TNI) and coordinator of the WIN Summit, a conference focused on women and negotiation skills.